It is Friday, October 11, 2011. Paul Chambers has just been told he has terminal pancreatic cancer. Like so many others hearing this kind of news, he goes numb. His wife, Molly, passes out. How could a merciful God do this to one of His precious children? This is the remarkable story of how one man overcomes his initial thoughts that God has turned His back on him, and instead finds joy in a closer walk with Christ. Author Patrick Day, in an excellent semi-autobiographical story laced with stunning visions and insights, delivers an incredibly meaningful lesson about how to experience “More of God” more of the time. For Chambers, the lead character in this insightful book, the struggle to keep Christ — not himself — in control of his daily activities is an almost insurmountable obstacle. But, through being tuned to the Holy Spirit, he succeeds — most of the time. Paul Chambers takes the words to heart and renews once again the close spiritual relationship with the Lord he so desperately desires. But his on-going struggle with seeing things from his own vantage point continues to interfere with that relationship. It is the revelation Paul needs to release control of his life — once again — to God. But the ongoing fight for dominance of his soul doesn’t stop there. In trying to discern the divine mystery of the mixing of soul and spirit, the Holy Spirit gives him a new metaphor about the comingling of fresh water and salt water in an estuary — about being sometimes in the southern portion of the estuary (away from God), and sailing in the northern portion (closer to God). For this is much more than a dry theological examination of the Holy Spirit’s influence on our daily actions and emotions. It is a superb and compelling story of hope and perseverance in the face of sometimes overwhelming adversity. And, above all, it is a witness to God’s eternal promise to never leave or forsake those who have chosen to be part of His family — whether they are walking right beside Him, or have strayed away. Five-plus stars to Arm in Arm With the Holy Spirit. 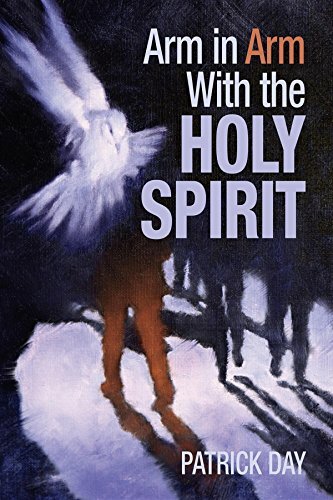 It’s an inspiring literary gift to anyone wanting to have a closer walk with God through the power of the Holy Spirit.